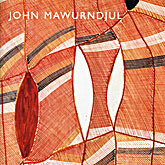 John Mawurndjul: Journey through Time in Northern Australia.This catalogue is Published on the occasion of of the exhibition <> - John Mawurndjul: Journey through Time in Northern Australia. Thinking aloud is a conversation between William Kentridge and German critic Angela Breidbach. Prompted by Breidbach's questions, Kentridge discusses his philosophy of image making. Although William Kentridge is now well known for his films, drawings, and theatre productions, he began his artistic career learning etching at the Johannesburg Art Foundation under Bill Ainslie. 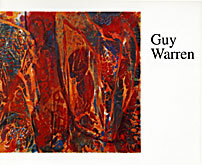 He spent two years teaching printmaking at this Foundation and his earliest exhibitions featured his monotypes and etchings such as the Domestic Scenes series. 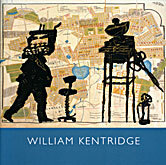 William Kentridge Prints is the first book to focus specifically on Kentridge's formidable print oeuvre, filling a gap in published work on the artist to date. 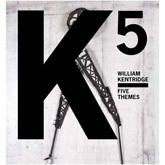 With a searing body of work ranging from drawings and films to prints, tapestries, and sculptures, William Kentridge (b. 1955) has offered a fresh and distinctive glimpse of the daily lives of South Africans - both during the apartheid regime and after its collapse.This extraordinary catalog, produced in close collaboration with the artist, investigates the five primary themes that have engaged Kentridge over the course of his career such as: Soho and Felix: works featuring Kentridge's best-known characters, the businessman Soho Eckstein and his alter ego, the anxiety-ridden Felix Teitlebaum; Ubu and the Procession: inspired by Ubu Roi, these projects reflect the excitement, conflict, and rapid social changes in post-apartheid South Africa; Artist in the Studio: an examination of Kentridge's practice and his emergence as an installation artist; The Magic Flute: work related to the artist's set designs for Mozart's opera; and, The Nose: Kentridge's most recent production, including work inspired by his staging of the Shostakovich opera for New York's Metropolitan Opera in spring 2010. 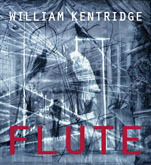 William Kentridge FLUTE is a dense collection of essays, photographs and images tracking the internationally famous South African artist's explorations into and production of Mozart's The Magic Flute. 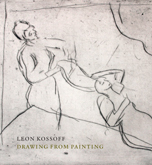 Known for his expressive portraits and London landscapes, draftsman, printmaker, and painter Leon Kossoff (b. 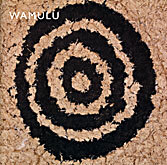 1926) is one of the most significant British artists of the past fifty years. 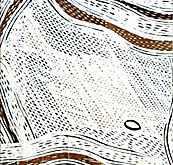 Published on the occasion of the exhibition Shirley Kaneda: New Paintings. 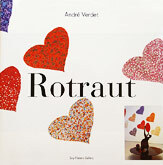 14 October - 11 November 2006, Bernard Jacobson Gallery London. 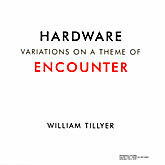 Published on the occasion of the exhibition Howard Taylor: Phenomena. The artist's book, Everyone Their Own Projector is printed in a run of 1500, and is also released in a limited, signed edition of 120 copies accompanied by a signed and numbered lithograph by the artist. The Art of Omie36 page full colour catalogue featuring essays by Bill Gregory & Judith Ryan.